The 13th February marks the anniversary of the Apology to Australia’s Indigenous People. The Apology was delivered on 13 February 2008 by then Prime Minister, Kevin Rudd. I recall that day here at Loreto in 2008, when as a school we stopped together as one to witness this moment in Australia’s history. As the Apology was read out by the Prime Minister I remember the emotion in the Parliament that day and the emotion we felt listening and watching. 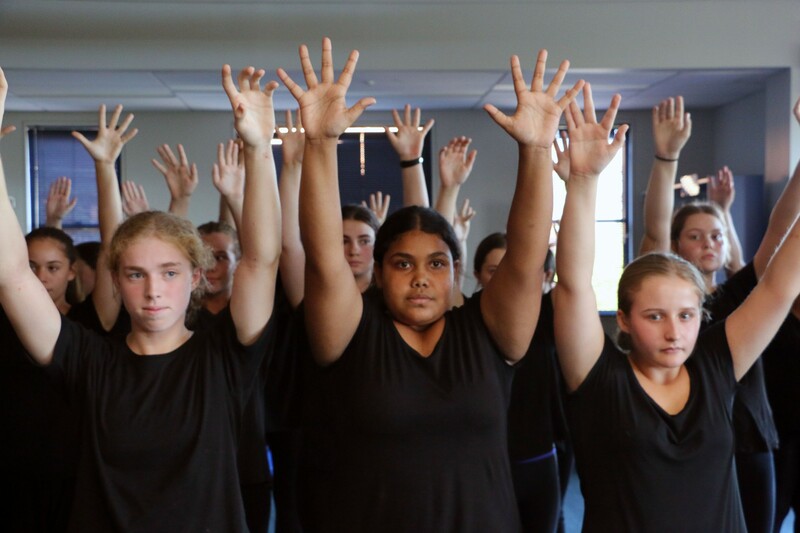 The discussion that followed with the students was incredible with our young women showing the necessary insight and reverence and a deeper understanding of what it means to be an Australian and to stand proudly in solidarity and in Reconciliation with Australian Indigenous People, in particular the Stolen Generations. Now that we are nine years on from that day it is good to reflect and question how far we have come as a community and as a nation. 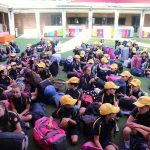 Even though as a school our awareness and commitment to Reconciliation is high we must still re-commit ourselves annually to support equality, respect and the continual improvement of the outcomes for Indigenous Australians, those we know and those who are unknown to us. As the Royal Commission into Institutional Responses to Child Sexual Abuse draws to a close we continue to hear terrible stories of pain and it is very hard to imagine that healing can occur for those who have been abused. The Commission has been incredibly comprehensive, as it needed to be with 36,975 calls handled, 22,686 letters and emails received, 6,443 private sessions held and 1,899 referrals to authorities (including police). As part of that process schools were asked to contribute to a briefing paper that talked of prevention of abuse in schools. We took up the call to contribute hoping to assist in any way. 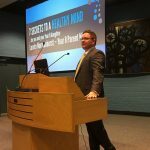 At the end of 2014 I had the privilege of being asked to participate in one of the private sessions held by the Commissioners to gather information that would eventually be fed into the recommendations from the Commission. It certainly has been a very robust and comprehensive process with the survivors and their healing at the centre of their work. On 3 February 2017 Bishop Comensoli wrote an excellent letter to the Diocese regarding the Church’s commitment towards healing. I include the letter here and hope that you will read it and discuss this with your daughters. As a Loreto community we stand in solidarity and support of all those impacted and we continue to pray for all survivors and the Commission as it draws to a close. 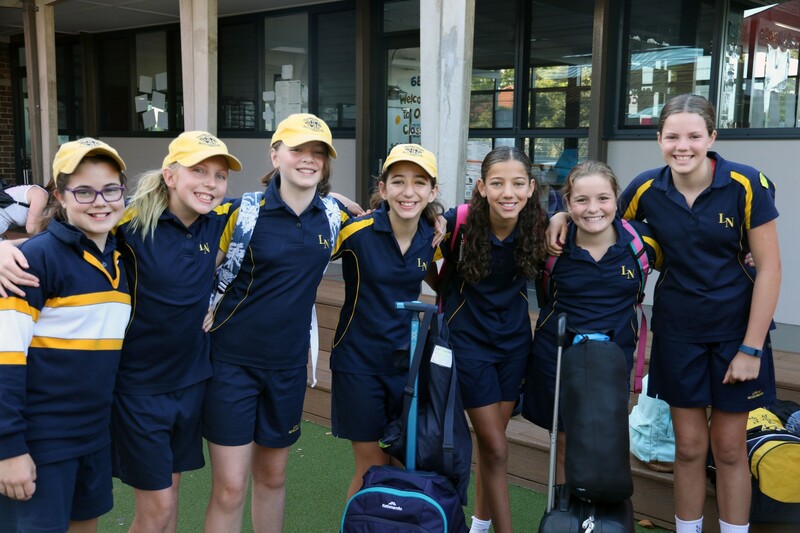 On Friday 3 March we will host the inaugural whole school Cocktail Party and Information nights for the Loreto Normanhurst community. This is an important Loreto event for all parents and one we hope that you have already marked in your calendar and plan to attend. It is a night to have a babysitter and for all parents, both Mums and Dads, to attend. We will commence the night with year group Information Nights as you have experienced in the past. We will group all years in separate venues around the school for the first hour of the evening. 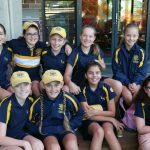 This will be a comprehensive presentation from the senior leadership of the school for each year group where you will hear valuable information regarding your daughter and her journey in her particular year. Once these information sessions are complete we will adjourn to the Main Quad or Gymnasium, depending on the weather, to connect socially. It will be a great evening that the school is working hard to plan. Yes, it is a different event but in true Loreto Normanhurst style it will be both comprehensive and enjoyable. It will be a wonderful way as a school to gain great information for the year ahead and also come together to celebrate the community in our 120th year. You can book tickets to the event here and view the invitation here. “Double double, toil and bubble, Fire burn and cauldron bubble”. 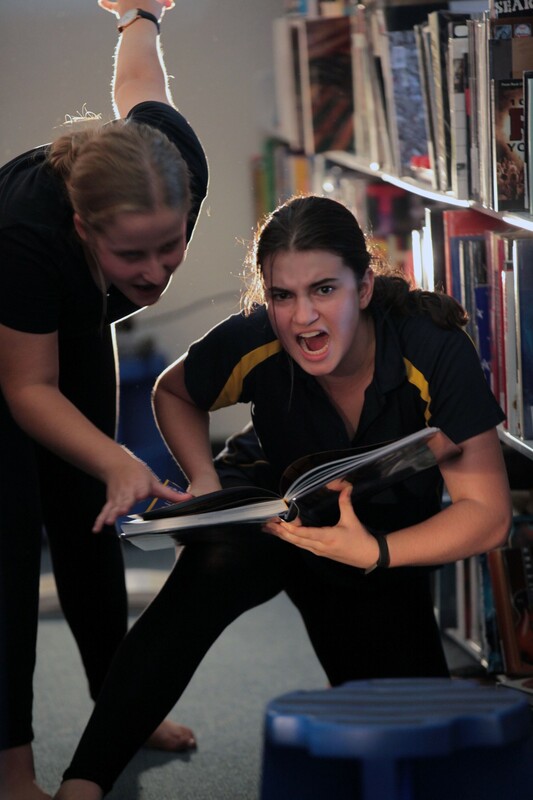 What an event in the LRC last Friday with Year 10 Drama performing Macbeth as part of their week long workshop with the Bell Shakespeare Company. 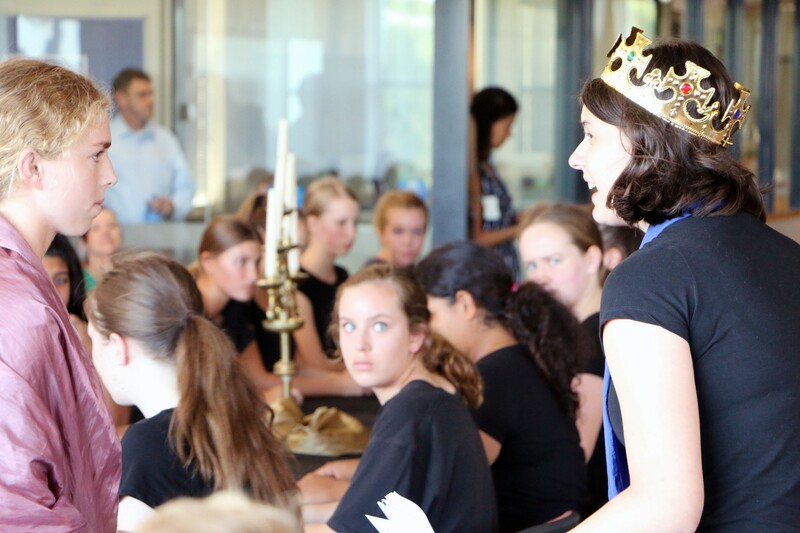 It was a superb event, one of true collaboration with the students in Year 10 and with the Drama and LRC staff. 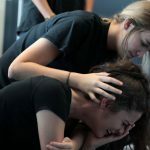 The students’ performances were brilliant and some of the scenes evoking great emotion and goose bumps. 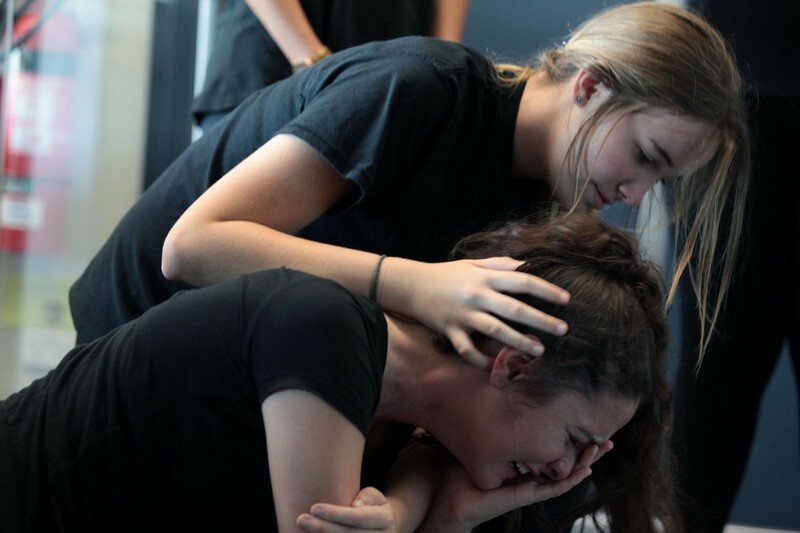 This experience is unique to Loreto Normanhurst and one that we are very proud to offer our Drama students. 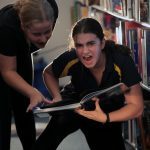 Congratulations to Year 10 Drama students the Drama Faculty, the LRC staff and Bell Shakespeare Company for another exceptional event at the school. 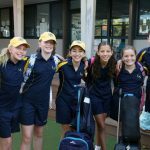 Year 7 seem to be fully inducted into the school now that they have made it to Week 3, they have their laptops, and they have experienced their Orientation Camp. I must say they were a delight to be with at the camp, happily making new friends and trying new experiences. 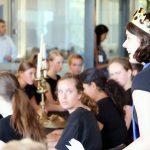 Whilst away we talked to the girls about what it means to be part of our 120 year old tradition and the 400 year tradition created by Mary Ward. They engaged very well with the story telling and all the other activities. 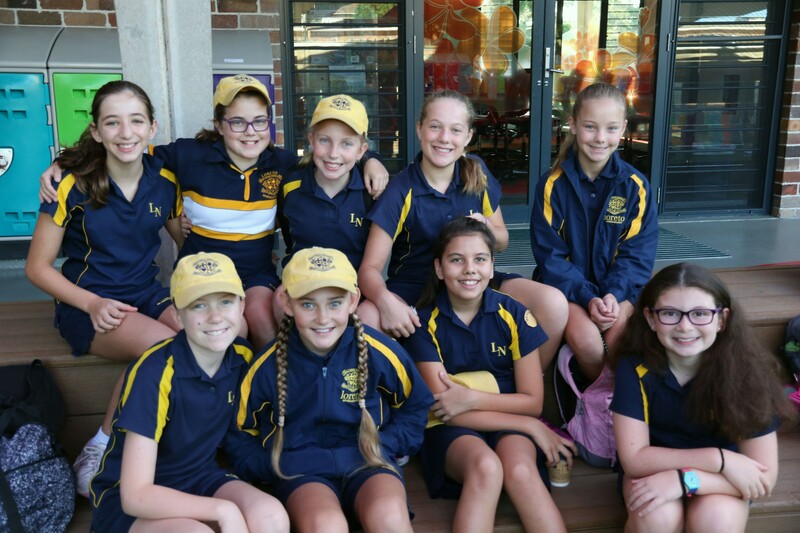 Congratulations to the Year 7 students for how they have embraced the first weeks of senior school and to the Year 7 Team, the Pastoral Team and their teachers for their support of the girls. 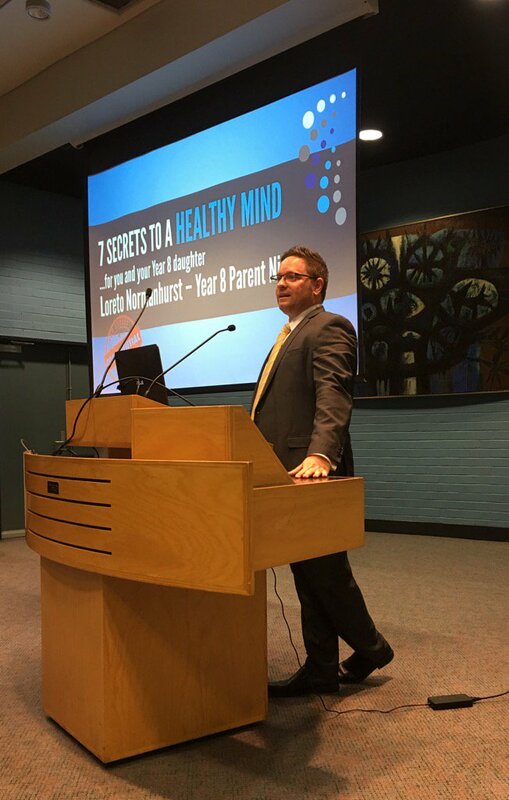 Years 5, 6 and 8 parents had the pleasure of listening to Dr Tom Nehmy present this week on the Healthy Minds Program which we offer to the students here at the school. It is an excellent program that encourages parents to work in partnership with their daughter and the school on developing a healthy mind and a greater sense of wellbeing. Developing a healthy ‘psychological muscle’ is essential to deal with the challenges of life and this program assists in developing skills that are essential for a worthwhile life. I encourage all parents to read the updates for parents in the newsletter in the coming weeks. 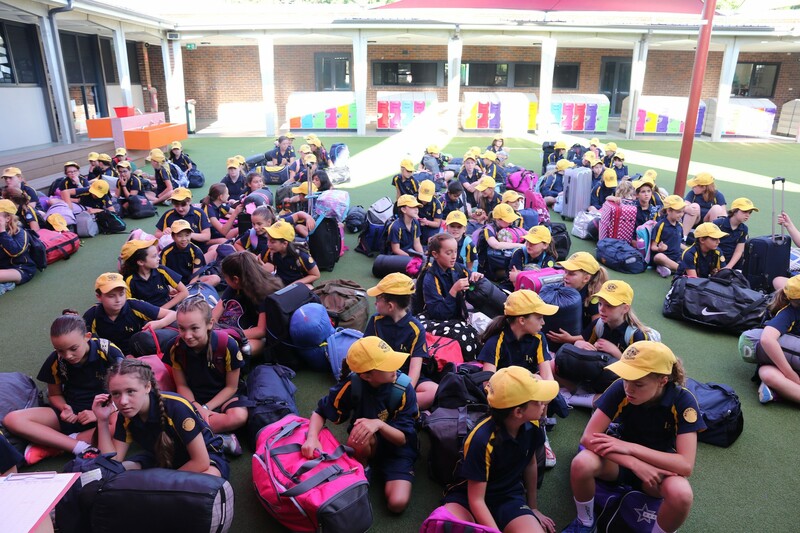 We look forward to hearing all the stories from Years 5 and 6 as they return from their Camp on Friday evening and I wish all of our sports teams’ success this weekend.